Why would anybody ever introduce new characters in a boring press release when they could do it how the cast of Star Trek Beyond have just introduced Idris Elba? The video starts with members of the current cast including Simon Pegg and Chris Pine talking about a new charitable initiative to benefit charities like Make A Wish, Camp Sunshine and Brave Beginnings. There’s also a pretty cool donation competition that will allow one fan to appear in the movie in a walk on role. All good stuff, but it’s about to escalate pretty quickly. 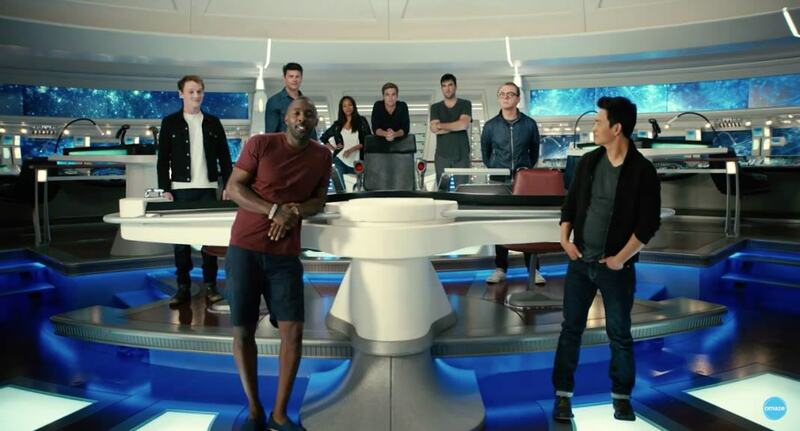 Acting about as nonchalantly as it’s possible to be, the camera pans through the cast on the bridge of the Enterprise before dropping Idris Elba in like it’s no big deal. This is absolutely a big deal. The star of The Wire and Luther has long been rumoured to appear in the third instalment of the Star Trek reboot but has managed to remain pretty tight lipped about it all. Star Trek Beyond is set for release on July 8th 2016 and has some pretty big shoes to fill given the success of it’s predecessors. Luckily, if there’s one man on Earth who can turn anything awesome, it’s Idris Elba.